HomeFeaturedHeruica Character Creation Award 2019: We need more Black heroes! Heruica Character Creation Award 2019: We need more Black heroes! Ever create a comic book character and wondered how people would respond to it? 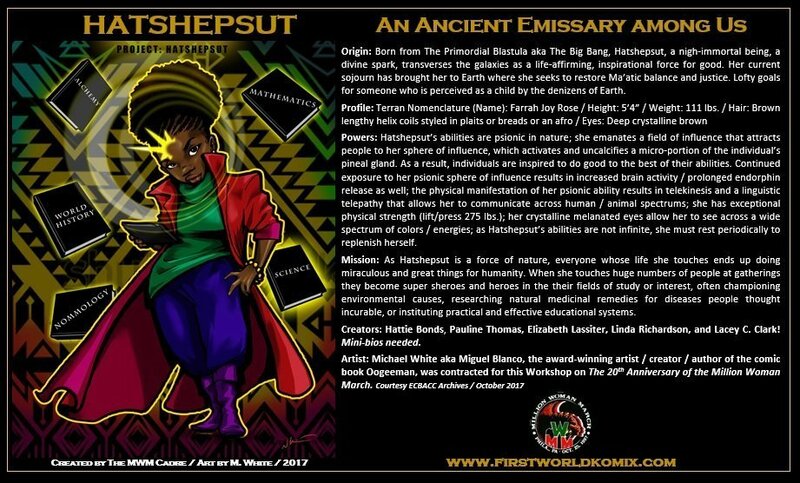 Every year the East Coast Black Age of Comics Convention (ECBACC) will run a contest that awards superhero creations based on African principles. Check out the rules below, and submit your work. 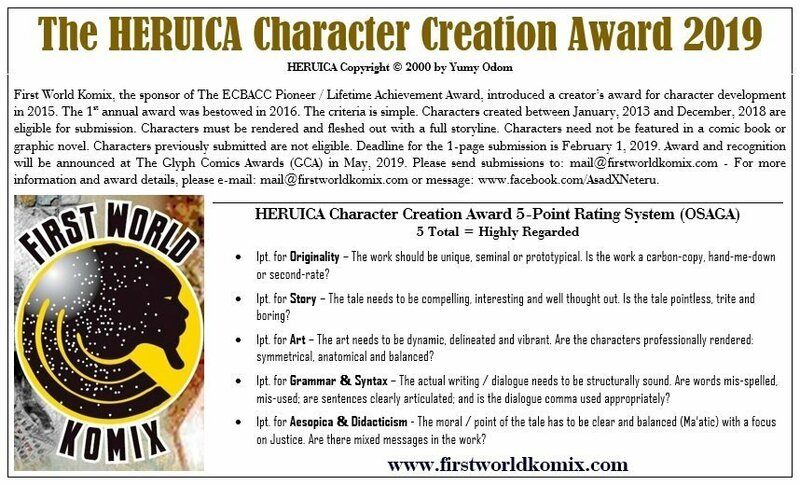 Also take a look at last year’s winner below the Heruica Character Creation Award 2019 details.